I live in a place where parents are faced with the indignity of giving their kids to a children’s home so they can go to school, or keep their child with their family at the perilous cost of not gaining an education. I cannot fathom having to make that decision, but in Haiti and other majority world countries around the world…it is a reality. Is education always the answer to breaking the cycle of poverty and injustice? No, there are too many factors in play for it to be as easy as one answer. However, it has been proven to give kids more options to break into the dreams of their future. 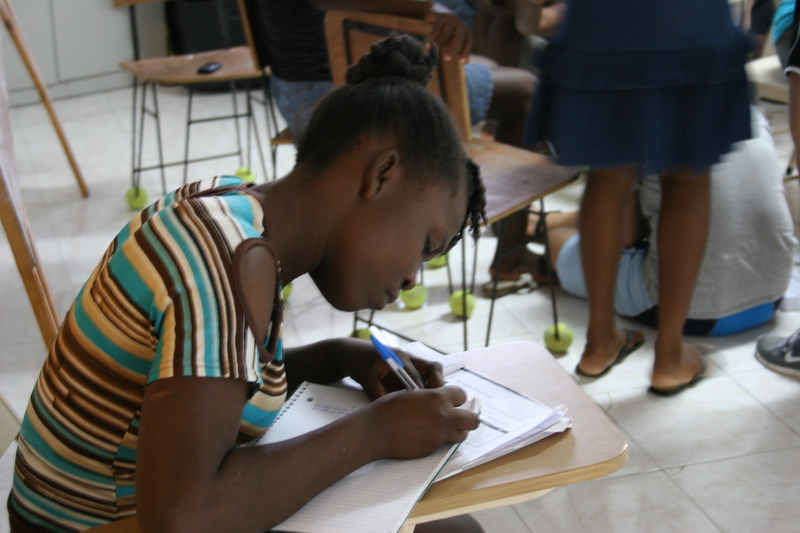 The GO Project Pathways program exists to train young Haitians in trades when their level of education is expensive or not on par with their age. Many of the kids who are 18 are at a 5th or 6th grade in school. When they are 18 and are not allowed to be in the home with the other kids, their grade level is not high enough for them to continue regular school. The Pathways program stands in that gap and says that the sustainable future of these kids matter. I know several of these young adults. I know their smiles. I know how they tease. I know they need encouragement. And I know that they are grateful for a place to belong and skills to have the opportunity to provide for themselves. The Pathways program is very similar to Russia’s tech school system. Russia’s tech schools are government run, and have so many in regions that it is hard to keep track of what tech school teaches what, but Russia has the same problem as Haiti. Kids come into the orphanage at a much younger grade level than their age would put them, and when they are no longer allowed to be in the orphanage at age 16 they are not at a grade level to send them to go to college or university. But by the grace and orchestration of God, we were drawn as a community to be an even larger community with a group of kids in Velikoretskoye. There were many reasons we were drawn to this unique place in the middle of nowhere. Really, it is in the middle of nowhere, but many come to this destination because one of the Russian Orthodox icons of St. Nicholas was found on the river banks. One of the biggest draws was that the orphanage director was also the school principal and was already sending kids to university or college instead of learning a trade at a tech school. Tech school is a great option for learning construction, mechanics, interior decorating, cooking, working in a business and tourist trades for hotels and trains. However, colleges and university provide education for professions that would pay more for your knowledge. Clearly, his dedication was something we connected with and wanted to support him. After our first year traveling, he had a young lady go to medical college and a young man go to design college. There have been kids that have gone on to succeed at tech schools, and some of the guys who gained education in construction are making an incredible living as Georgyi told me when we were there in November. 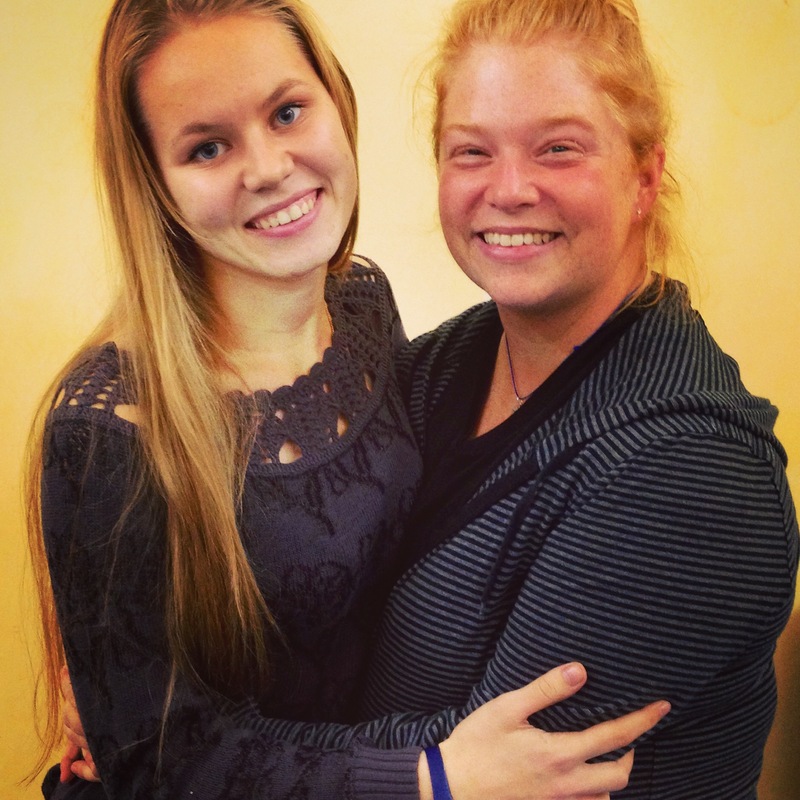 Nastya is one of the graduates that came back to visit while the team was at Velikoretskoye this year. She is at university to become a teacher. Her situation was one that Georgyi championed when she expressed the desire to go to university, but her grade level was not to her age. Ignoring Russian laws, he kept her at the orphanage beyond age 16 so she could graduate high school in order to continue her education in university. Georgyi graduated seven kids out of the orphanage last year, and last September had all seven kids in college or university. *Collective cheer! * I talked about this a little in my massive post I put up a few days ago about the trip this year. God has grown me to the point where I hate seeing things sent or donated somewhere they are not needed. The locals on the ground need to verbalize a need before I can make sense of sending a plethora of clothes, shoes, toiletries and a myriad of other things to their location. When you send things they don’t need, all it does it inundate them with things they don’t have space for and in some extreme cases will sell it for the money. Not the original intent. This year, Georgyi has verbalized a need for tutors for all of the kids. Last year, we talked with him about help for the kids that were graduating and several of us within our community raised money for that need. In that spirit, Lindsay Evans and I asked our friends and family to forgo a ‘traditional’ Christmas gift for ourselves and instead give money toward tutors for the kids. What better gift that to know that the kids we know and love will succeed in higher education AND provide income for local tutors? This year, to get tutors for all of the kids, it is going to be a bit more than what a few people might be able to generate and will end up being about $4,200. In honor of a silly named day, ‘Giving Tuesday,’ (Shouldn’t it be ‘Giving Every Day’?!?!) I am putting up this post with links in it to support the future of kids in Haiti and Russia. Go to ‘Change Their Story’ on the Children’s Hopechest page to support tutors at Velikoretskoye. You can do it a couple of different ways. Simply support our team, or if you want you could even become a team member and send folks to contribute on your page for the team. Here’s to ALL of the Velikoretskoye graduates going on to college or university from this point forward, friends! Do Christmas different and let it be about how we are impacting the future of kids told they are not worth anything, instead of the more socially accepted purchasing of things we don’t really need. I welcome and enthusiastically cheer on anyone willing to support the future of some pretty incredible Russians and Haitians. This entry was posted in Haiti, Russia and tagged Children's Hopechest, Christmas, dream, education, future, Global Orphan Project, Haiti, Pathways program, russia, tech school. Bookmark the permalink.